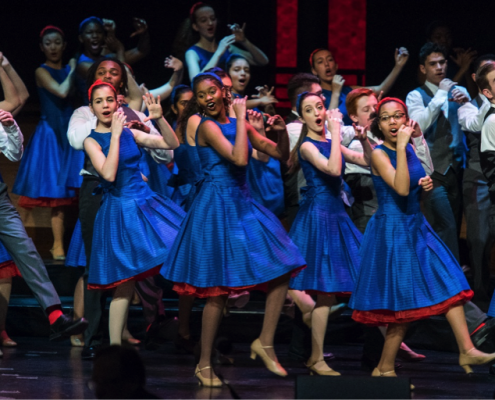 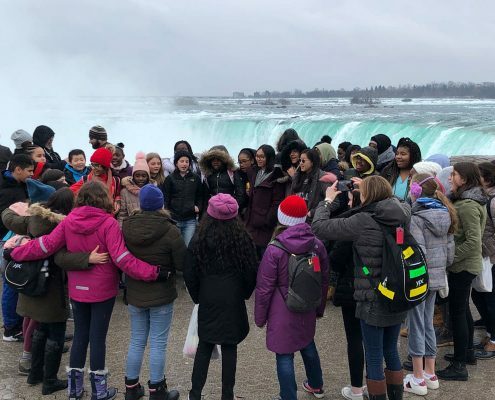 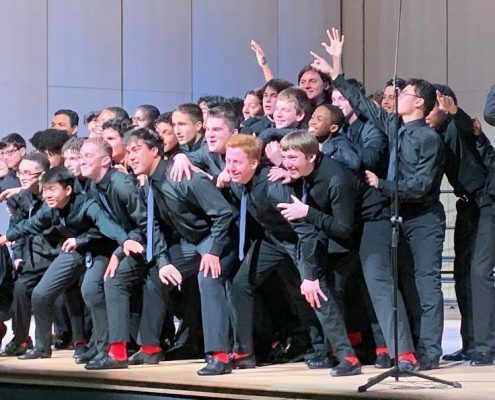 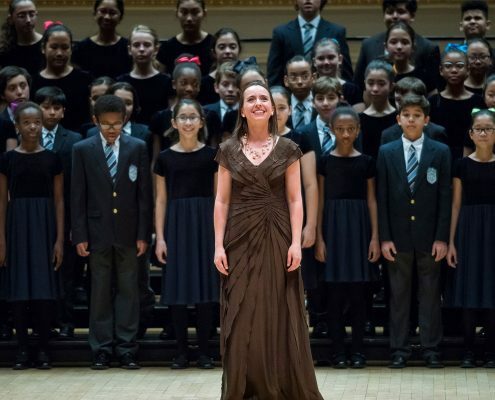 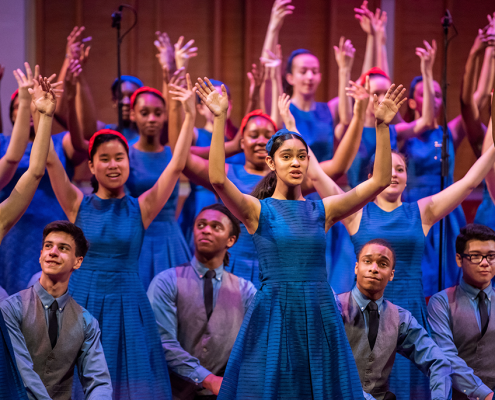 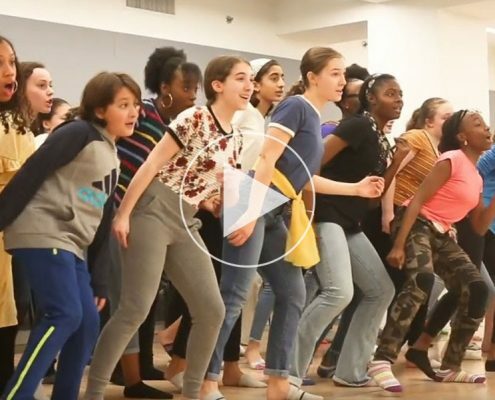 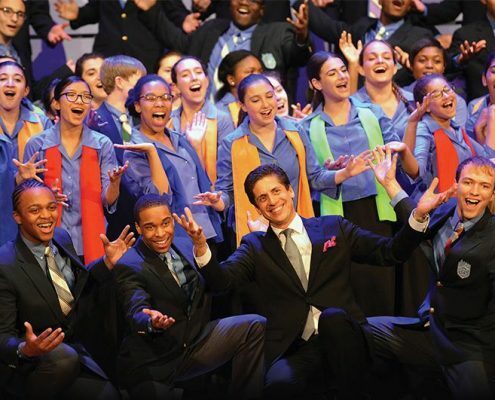 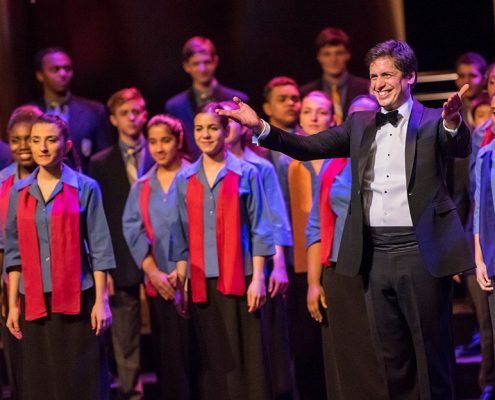 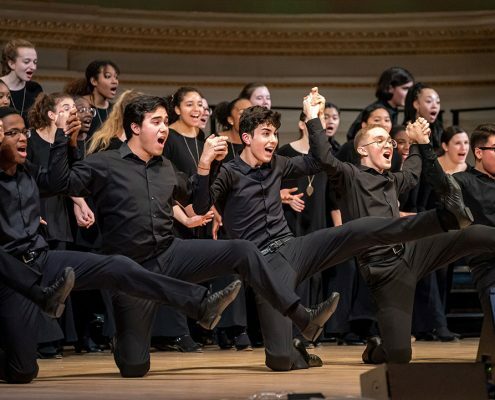 On Monday, November 26, Assistant Conductor Maria Peña lead Young People’s Chorus of New York City as they sang in Winter’s Eve at Lincoln Square, New York’s largest holiday festival. 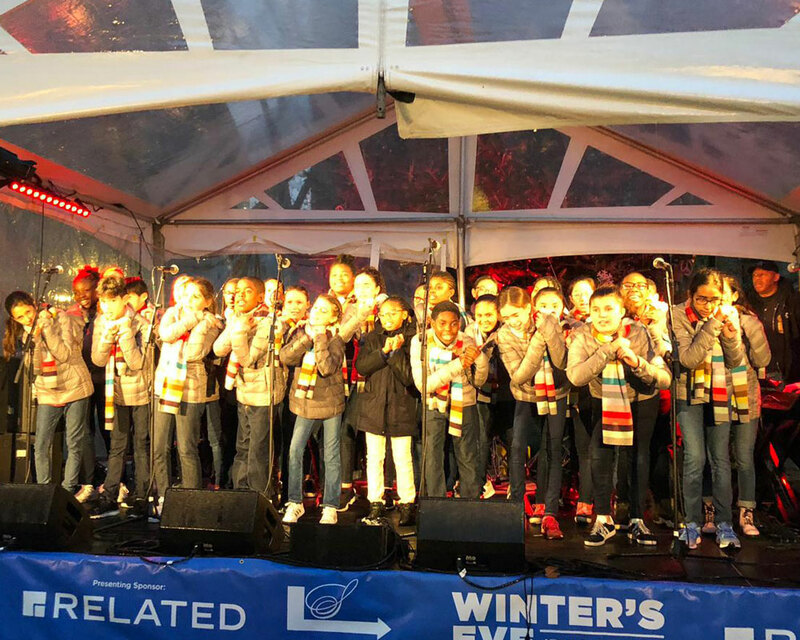 Introduced by Master of Ceremonies Judy Collins, choristers performed two songs as part of the Lincoln Square Tree Lighting Ceremony. 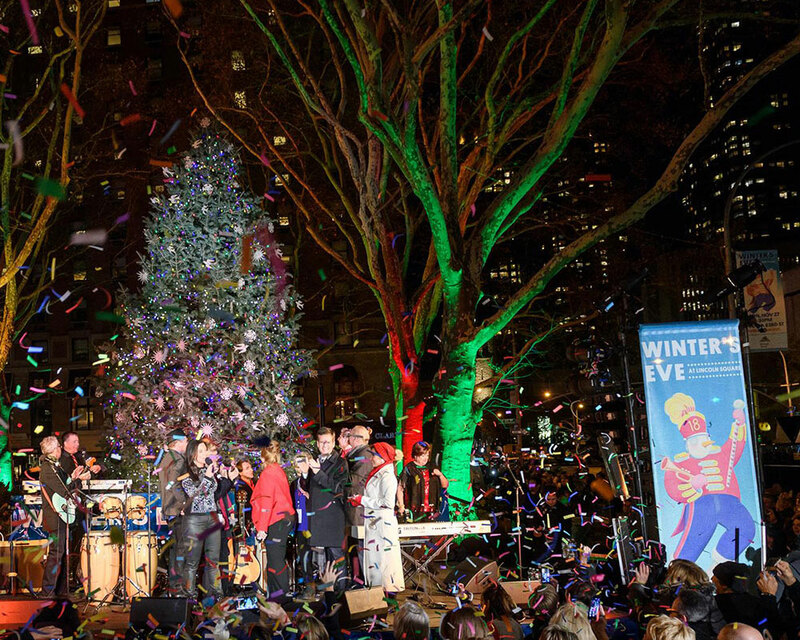 Though the weather was quite rainy, an enthusiastic audience crowded under umbrellas to enjoy the festive holiday music!